Wrinkles, age spots and crow’s feet are things that sooner or later we will all experience as we get older, and for this reason anti-wrinkle skincare becomes a little more important to help slow down the signs of ageing. Ageing is a natural process that we all go through and there is definitely beauty to be found in the faces of people of all ages, so do embrace your natural beauty wrinkles, fine lines, freckles and all. With that in mind, we believe that prevention and natural remedies are the key to glowing and youthful complexions and the earlier you can start with preventative measures, the better it is to help stave off any premature signs of ageing. As well as these preventative measures, we have three fantastic essential oils that will help combat the signs of ageing whilst being kind to your wallet and your skin. These useful products are Frankincense, Carrot Seed and Patchouli essential oils: 100% pure, with no unnecessary chemicals or added ingredients. This essential oil is extracted from the rich golden resin often found in Rajasthan and has a sweet yet fresh aroma that has been used for thousands of years within Ayurvedic traditions. Using frankincense as part of your skincare routine is soothing for dry skin and can help to reduce fine lines and wrinkles, which makes it especially good for mature or damaged skin. 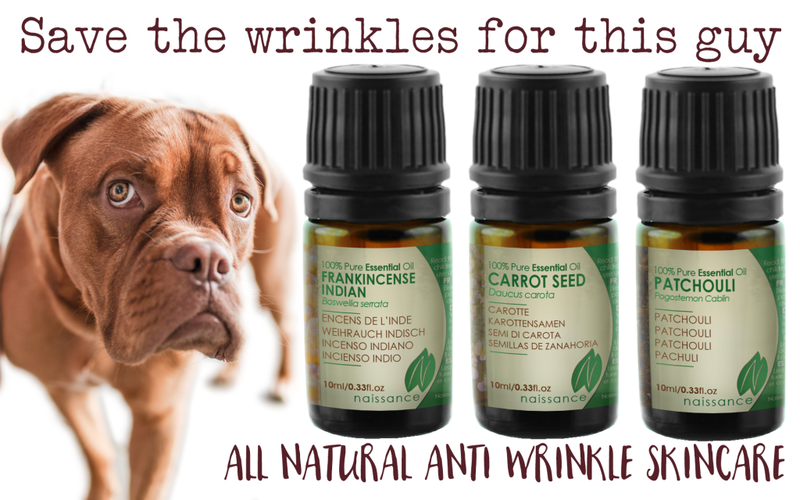 Extracted from the seeds of wild carrots and also known as Queen Anne’s Lace, carrot seed essential oil is considered extremely beneficial for mature skincare. This oil is thought to help to reduce the appearance of fine lines and wrinkles due to its toning and revitalising skin properties whilst also being packed full of vitamins and antioxidants, making it a fantastic detoxifier for the blood and liver. Patchouli oil is extracted from the fermented and dried leaves of the plant. As well as being wonderful for mature skincare and a natural anti-wrinkle treatment, patchouli oil has calming and relaxing effects, which can be a beneficial part of slowing down the signs of ageing as stress is a major strain on the body and can really show itself through the condition of the skin. So keep calm and apply some essential oils. We never advise that you apply essential oils undiluted onto the skin. The essential oils should be diluted in a carrier oil and then applied to the skin. Some of the carrier oils that we suggest for anti-ageing are Rosehip, Apricot kernel and sweet almond, but there are many more carrier oils that you can use too. I’m just starting with essential oils, do you have any recipes for the anti wrinkle oils please. Thanks. I m 35 I have no wrinkle, but old age coming soon so keep maintain our self so can I use this product?